Why is ginger helpful in healing a TBI? Ginger can aid in removing toxins from the body. We typically remove toxins through our sweat glands when engaged in vigorous activity, such as working out or brisk walking. 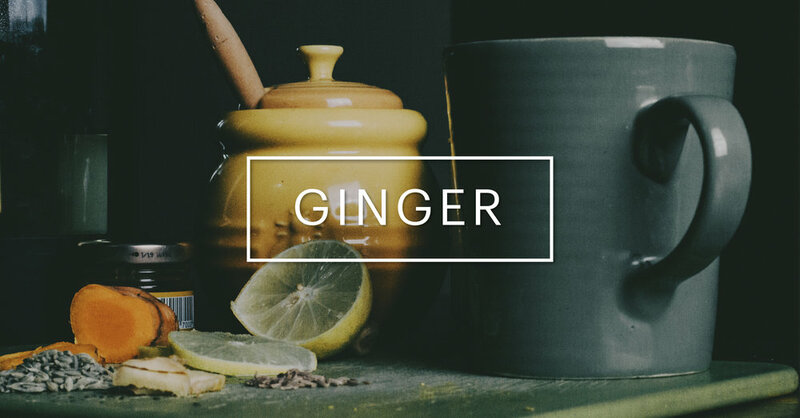 If activity levels are reduced due to TBI or other factors, we must look for additional ways to release toxins, and ginger is an excellent choice for that. Ginger is also wonderful at supporting digestive strength - something which can go out of rhythm after a TBI. In ayurveda we say “ we are not just what we eat, but what we digest”. When digestion is sluggish, we have left over residue in our system, which makes the brain and body feel heavy and dull and leads to illness. Ginger helps burn this residue away. It makes our digestive fires stronger, helps burn and release toxins, and makes food lighter and easier to digest. Ginger should be consumed on a regular basis, be it through cooking a dish like kitchari , drinking ginger tea, or just taking a nibble on raw ginger in between meals. Ginger Tea - Chop or grate an inch or two of fresh ginger, bring 4-6 cups of water to a boil, toss in the ginger and let it simmer for 10-15 minutes. Drink a few ounces before meal times to strengthen digestive fires. You can add lemon and honey for variety. Ginger Nibble - Have a thin slice of ginger with a drop of lemon and pinch of salt on it 15-20 minutes before each meal to support proper digestion. Please note - Ginger, having the element of fire in it, can bring heat to a sluggish and possibly depressed mind set. Too much ginger can also add too much heat. If you find you are too “fire like” (sharp and argumentative), cut back on the ginger a tad, and have a cooling glass of mint tea.